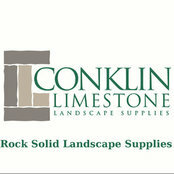 Conklin Limestone is a family business located in Lincoln, Rhode Island. Our business got started in 1946 by selling agricultural limestone. 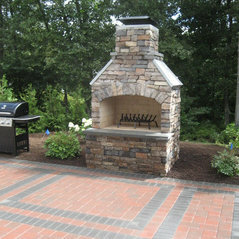 Today, we offer more than just limestone. 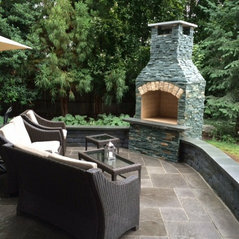 We sell granite, bluestone, crushed decorative stone, cobblestone, granite fountains, pavers, retaining walls, decorative walls, sand, real stone veneer, cultured stone, ice melter, fertilizer, grass seed, and accessories to accompany them. 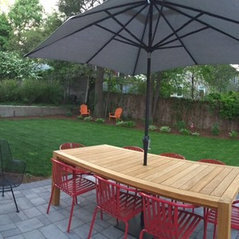 We work with contractors, homeowners, and design professionals. Bring in your plan, even if it was sketched on the back of your five year old's self portrait. We are here to help. We are Allan Block experts. 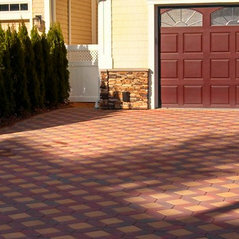 Bring in your dimensions and leave with a complete estimate of what your wall will cost. They are wonderful people and great to work with! 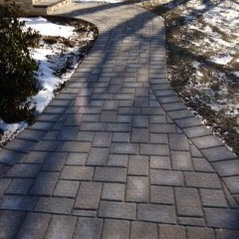 They help us with our outdoor patio and our driveway. 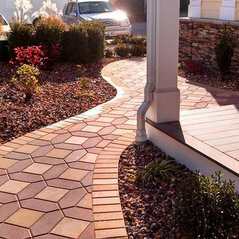 Their products are excellent and so is their service. Commented: Fire pitNo, typically they are dry stacked. 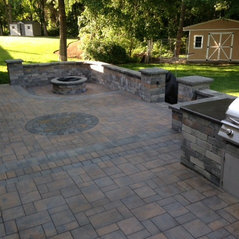 If it's a concern, then a concrete adhesive is recommended that is suitable for fire pits. We carry the SRW Rapid-Set Polyurethane adhesive. 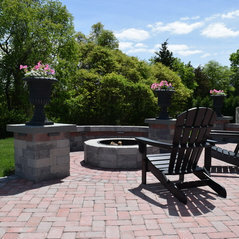 Commented: It is that Gas or any kind of Kerosene?The fire pit pictured is wood burning, however there are natural gas or propane burners that fit this pit. 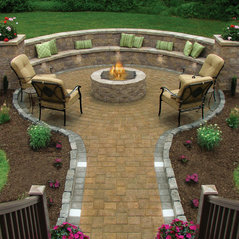 Commented: Outside diameter of fire pit & outside diameter of seating area?The fire pit outside diameter is 48&quot;. The circle outside diameter is 14' 4&quot;. The walls are a total of 20&quot; deep. Commented: Tree servicesI don't understand your question. Commented: Housewhat is your question?